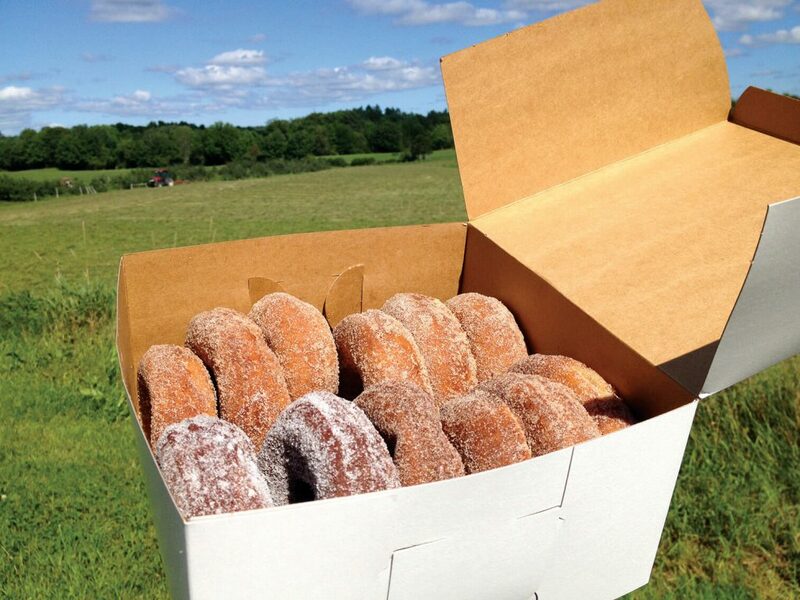 If the crisp air and the gloriously colored leaves aren’t enough to get you swooning over fall in Maine, maybe an apple cider doughnut and a corn maze will convince you. It’s also the perfect time of year to hike, carve a pumpkin and get spooked inside a haunted house. We owe our pumpkin-carving tradition to Irish immigrants, who brought the idea to America. Except in Ireland, they didn’t carve pumpkins, they carved turnips and potatoes and put them in windows to ward away evil spirits. 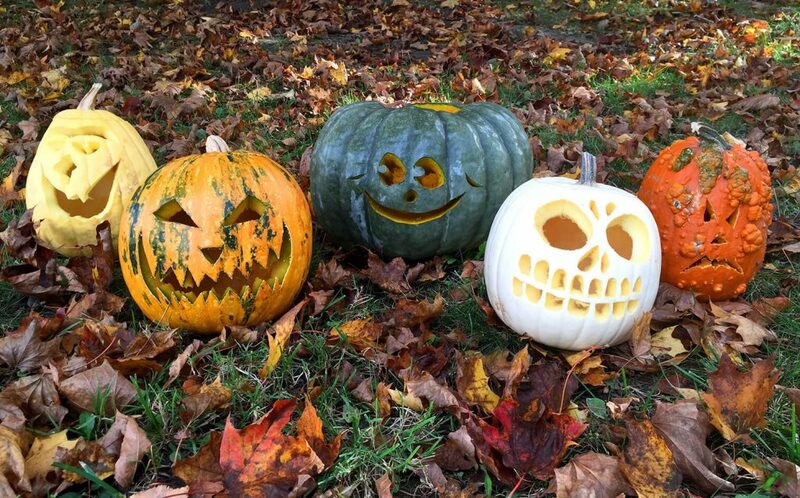 These days, the classic orange pumpkin is the most prolific carving pumpkin, but other varieties sold at local garden centers can be carved, too, and offer a unique alternative to the classic. Look out for white and yellow pumpkins, hilariously lumpy knucklehead pumpkins, the spooky green-gray jarrahdale, and kakai pumpkins with their green stripes. 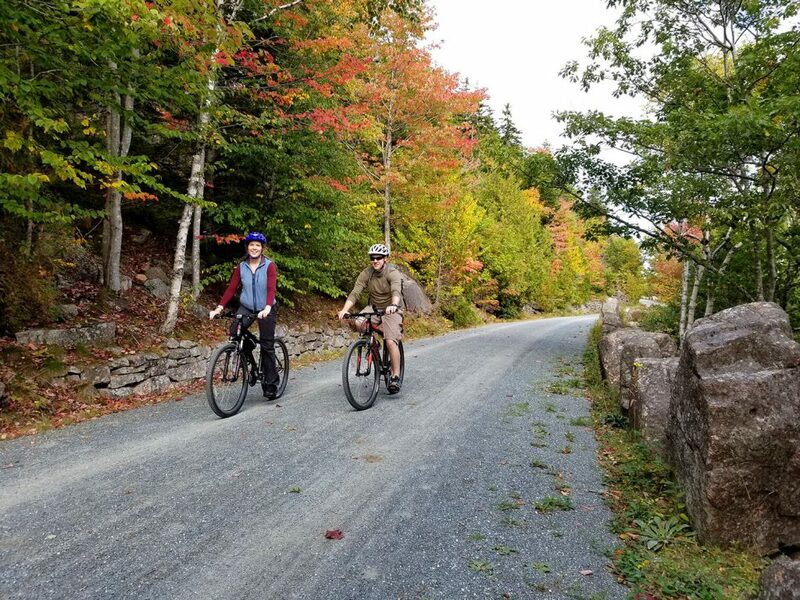 Get onto a tree-lined trail for a fall hike or bike ride. The autumn colors will dazzle you the whole way. 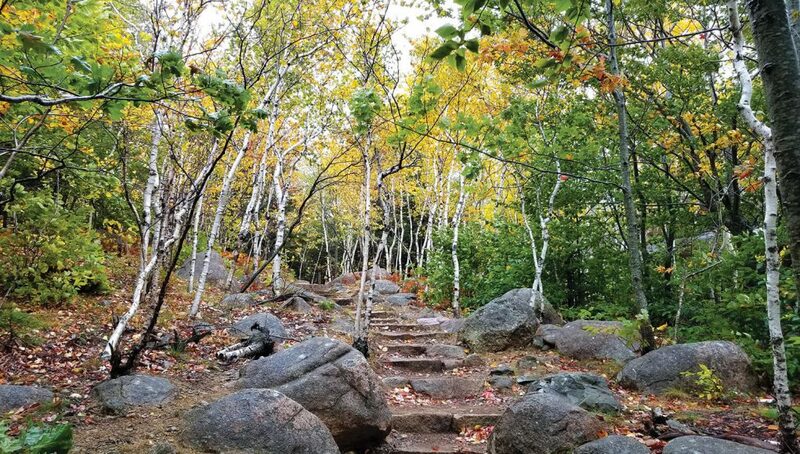 Acadia National Park is a popular destination, with wide carriage trails perfect for walking or riding. 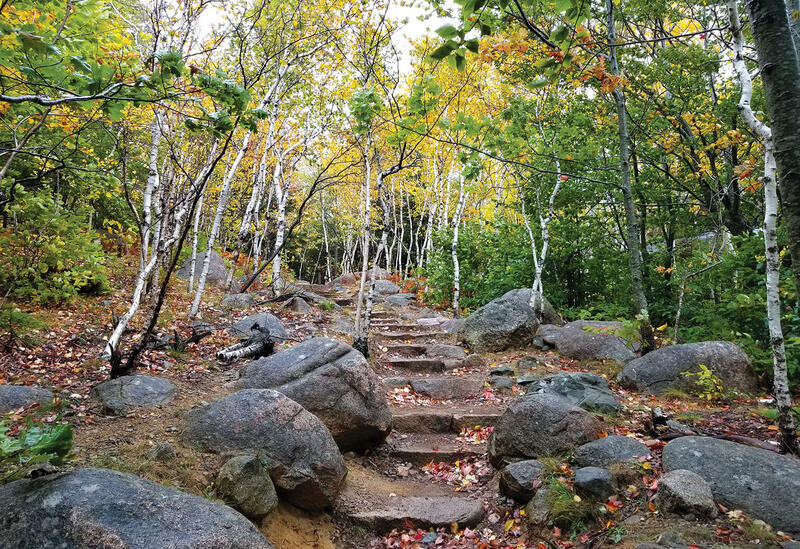 To find the perfect trail for you—whether you’re looking for a challenge or a short jaunt—check out mainetrailfinder.com. Bring the kids or make it a corn-field challenge with some friends. There are several corn mazes in Maine, and some even have nighttime hours for added difficulty (that’s also creepier and more fun). Most locations also offer other entertainment, like hayrides, pumpkin picking, food and more. Treworgy Family Orchards in Levant has a small kid-friendly maze. Pumpkin Valley Farm in Dayton has a 6-acre maze that’s sure to stump you several times. 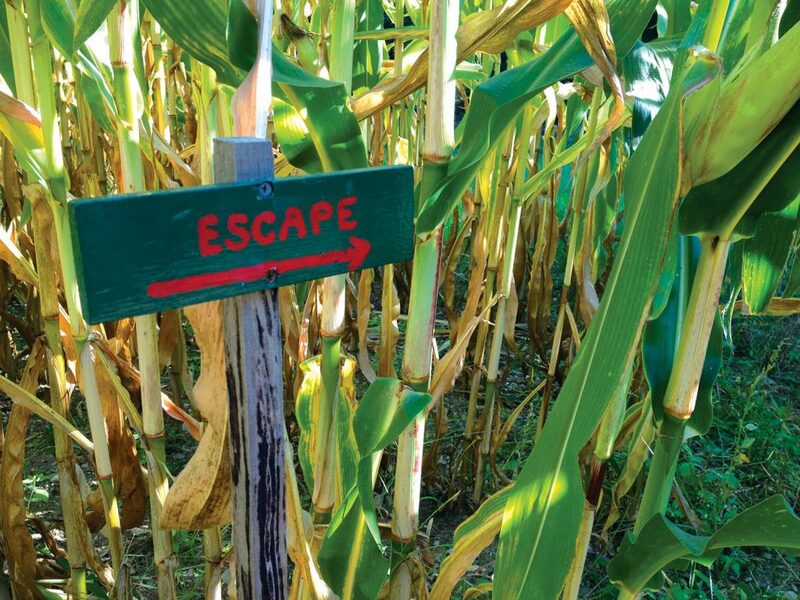 For a list of corn mazes in Maine, go to newenglandfallevents.com/maine/corn-mazes. True, you can pick up a half-peck of local apples at the grocery store, but what’s the fun in that? Instead, head to an apple orchard to pick your own. Choose from a range of varieties—Cortland, McIntosh, Fortune and more—and many orchards also sell pies, candy apples, apple cider, apple cider doughnuts and other delicious fall goodies. To find a pick-your-own orchard near you, go to maineapples.org. Stories of spirits abound this time of year, and there are plenty of ways to celebrate the scary in Maine. Fright at the Fort takes places at Fort Knox in Prospect on Oct. 13, 19, 20, 26 and 27 from 5:30–7 p.m. There’s also the Night Terrors Haunted Woods Walk in Kittery, which opens Oct. 12 and is sure to have you screaming. If Maine’s haunted history is more your thing, join a Red Cloak Haunted History Tour and hear stories by lantern light. Tours run all month in Bath, Damariscotta, Camden, Wiscasset or Boothbay Harbor, Rockland, Bar Harbor or Hallowell. Find all kinds of haunted goings-on at mainehauntedhouses.com.